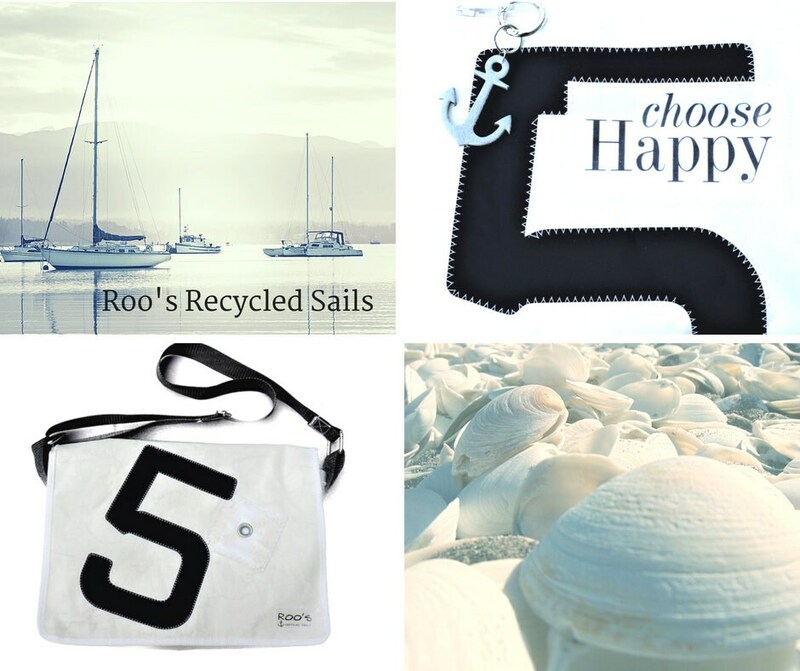 Big Five is a handcrafted Crossbody bag of the brand "Roo's recycled Sails", created from an original sail. The maritime Messenger in the format 28 x 38 x 5 cm is closed with two velcro. 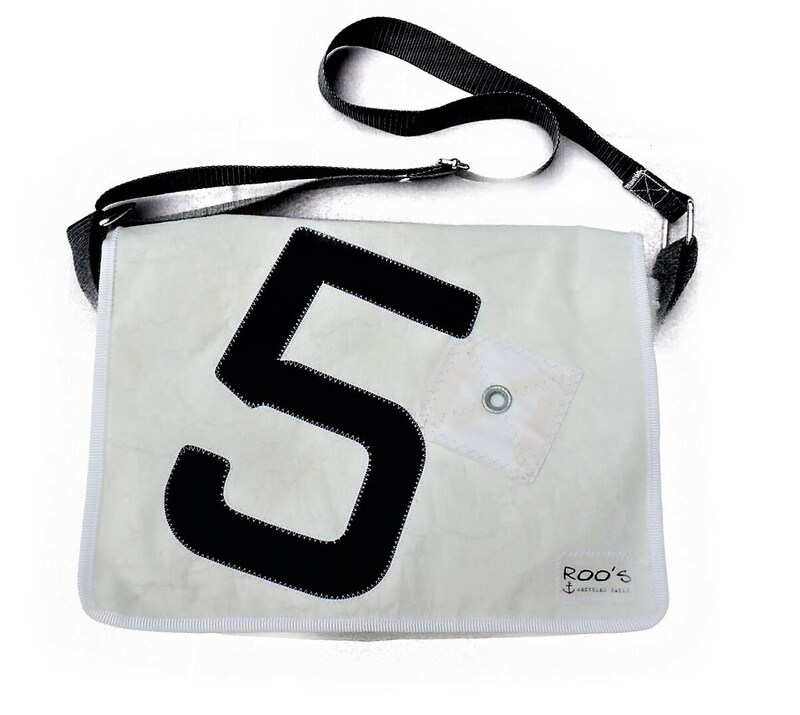 On the front of the white bag the number "5" in black is emblazoned. 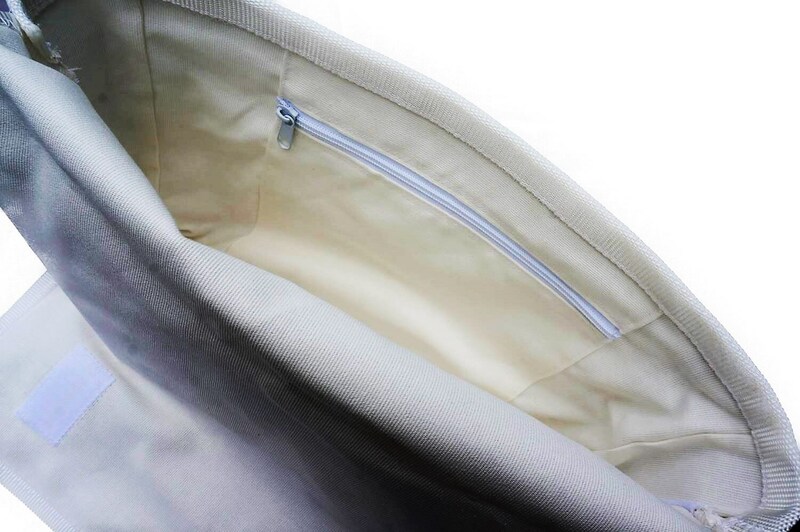 Just typical for sails, this is quilted with a zigzag stitch and gives the bag the authentic maritime appearance. 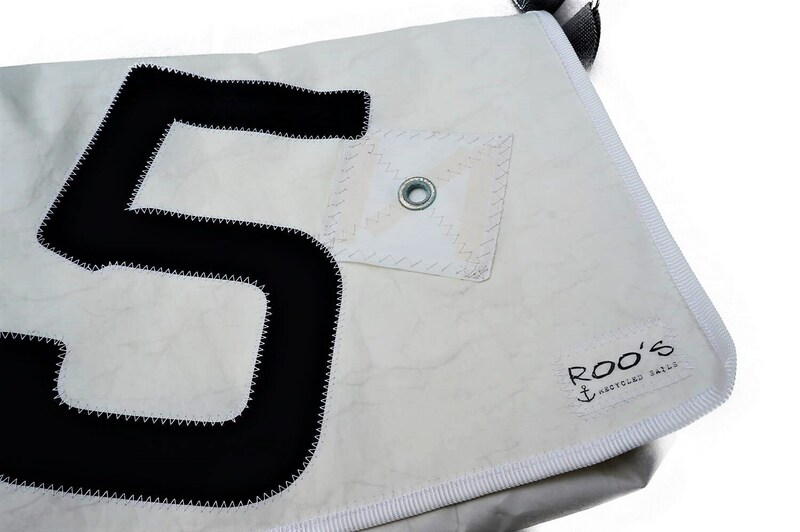 Next to the "5" there is an original 2 cm large eyelet of the sail, which is fixed in a 9 x 9 cm large square of fabric. The bag is lined with a sturdy beige cotton canvas and has inside an extra large zipper compartment for important things like key or mobile phone. 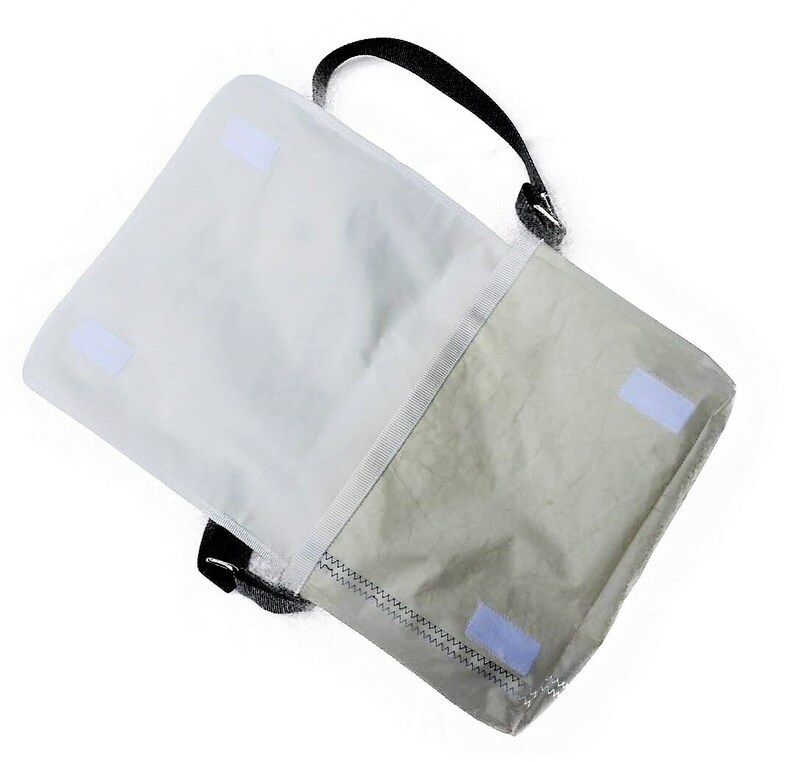 The 4 cm wide belt as the sides of the bag are made of grey polypropylene webbing. It is max. 115 cm long, not removable, but adjustable. Another maritime detail is the "Let Your dreams set sail" side-mounted slogan. The format of the bag is ideal for small laptops, e.g. in the format 34 x 24 cm, as well as din a 4 formats (see last photo with the magazine as a size reference). But for a large Leitz folder it would be a bit too short in height, it fits in, but can no longer be properly closed with the Velcro. 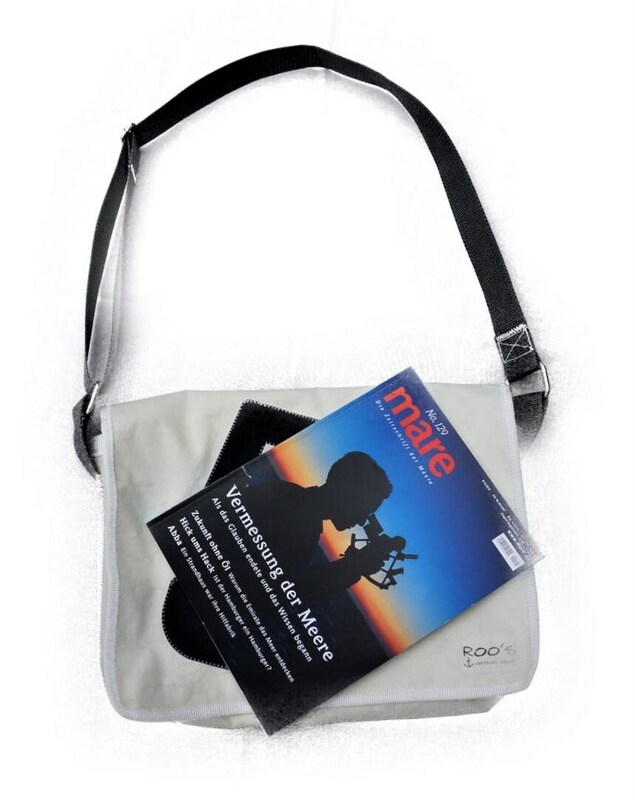 Those who love maritime design and are looking for a wonderfully light and unique handmade messenger bag will find a reliable companion in Big Five. The bag can be washed at 30 degrees in the washing machine-just please do not iron!.